This Perfect Fruit Salad is bursting with a rainbow of vibrant, seasonal fruit and drizzled with tantalizing Honey Citrus Poppy Seed Dressing for an easy, fresh side that takes minutes to make and goes with everything! Everyone needs the perfect simple, homemade fruit salad recipe, and this is it! 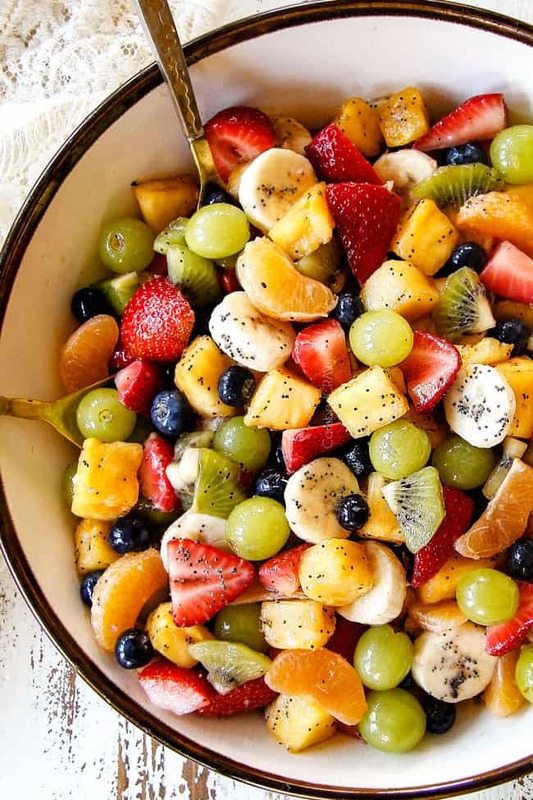 This Fruit salad recipe is the easiest and most crowd pleasing side for any occasion. It can be prepped in minutes, made in advance and you can use your favorite fruits or whatever you have on hand. YAY for stress free serving and/or entertaining! In this post, I’ve included answers to any questions you might have and a whole section on what to do with leftovers – if there are any . This fruit salad post is sponsored by Walmart. All opinions are my own. 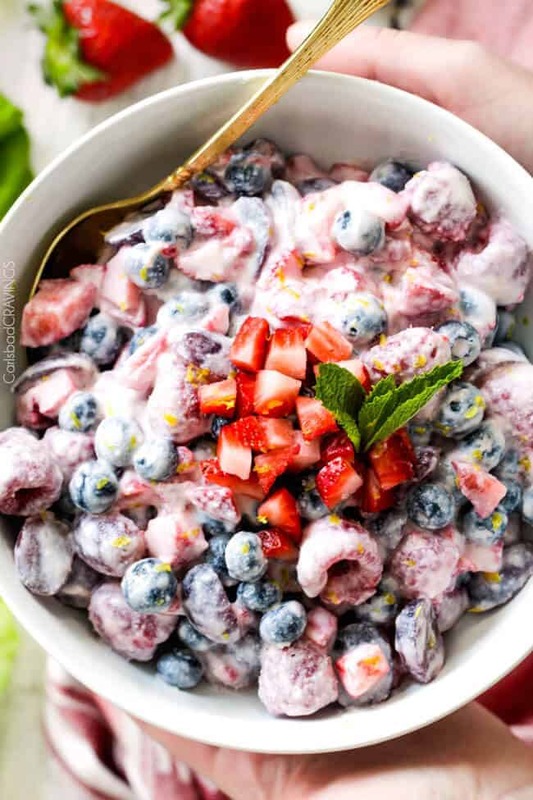 I absolutely love fruit, especially locally-grown fresh produce, and what better way to serve it up than to create healthy, bright summer fruit salad with all your favs?! Add Honey Citrus Poppy Seed Dressing, and you have a fruit salad worthy of any occasion. I even chose to bring this fruit salad to the 4th of July this year because it is just that – 4th-of-July-showstopping delicious. Everyone asked me what was in the salad and that it was, “sooooo good!” Little did they know it was sooooo easy too! 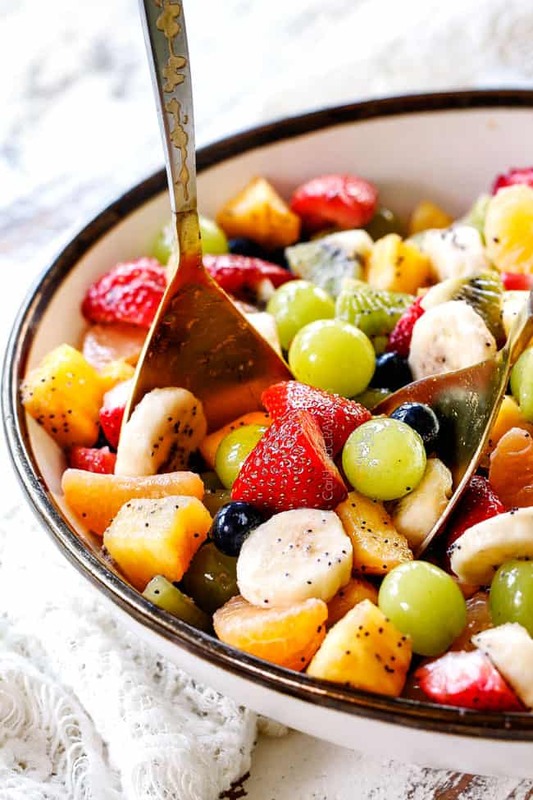 Fruit salad is not only an essential, always disappears (or at least this fruit salad always disappears), potluck side, it is a throw together breakfast, lunch or dinner side. Aside from parties, I love making this summer fruit salad just to have in the refrigerator as a healthy snack. I have found that if fruit salad is in my refrigerator – my husband and I eat way more fruit! You do the chopping work once and get days of refreshing satisfaction. You can eat the fruit salad as is or add vanilla yogurt, granola, nuts or coconut. 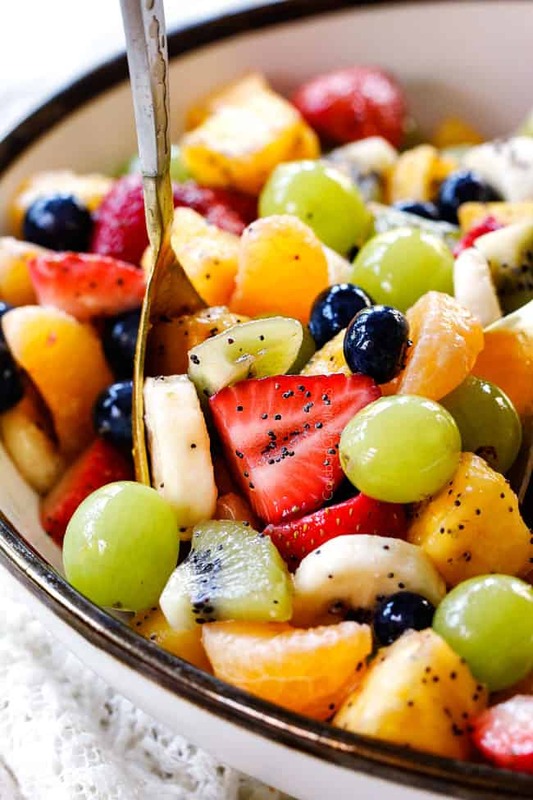 No matter how, when or where you serve this Fruit Salad, it is perfect every time! Looking for even more Fruit Salad Recipes? Fruit Salad is pretty straightforward and comes together in less than 15 minutes! It requires no special skills, just some chopping, peeling and whisking. Here are a couple tips and tricks followed by questions and answers you might have about how to make perfect fruit salad. Use ripe, SWEET fruit – especially pineapple and oranges. If your pineapple and oranges are bitter, your salad will be bitter. If they are ripe but could be sweeter, you might want to add a little more honey to your dressing. Chill your fruit – chopped or whole – for at least 2 hours. Chilled fruit is everything in a fruit salad. You don’t need to chop your fruit 2 hours in advance, but at least place your whole fruit in the refrigerator because no one likes luke-warm fruit salad! What are the ingredients of a fruit salad? I chose these fruits because of they create a beautiful symphony of flavors, textures and shapes and the “perfect” fruit salad in my opinion. The key to the best fruit salad is to use ingredients that won’t turn brown (like apples and pears – bananas are my exception to this rule) or get mushy (like raspberries) or release too much moisture (like melons). If you don’t like any of the aforementioned fruits, are allergic, or simply want to use what you have on hand, then to free to swap some of them out. I don’t suggest omitting the pineapple, however, because it is both wonderfully juicy and sweet. If you can’t get a hold of fresh pineapple, then use canned packed in its juice – not in heavy syrup – OR swap it for mangos for their juicy sweetness. This summer fruit salad is bursting with fresh produce from Walmart. Walmart’s fresh produce is restocked at least once a day and comes with a 100% fresh guarantee. If you’re not satisfied with their produce, they’ll give you a full refund! Walmart not only offers a variety of in season fresh produce delivered to you daily, but much of this fresh produce is locally grown because Walmart believes in supporting local communities, which I absolutely love! 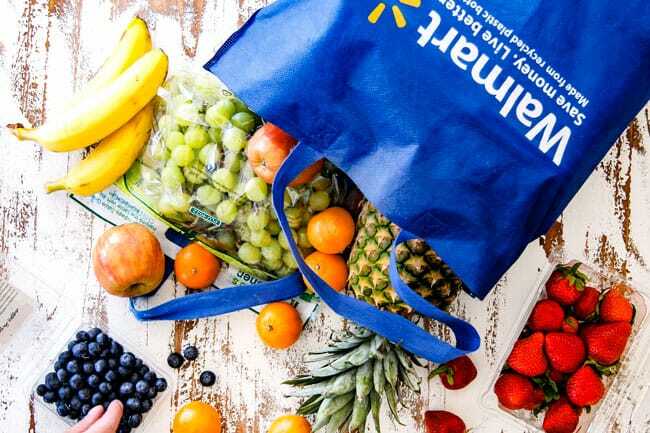 As I mentioned in my Strawberry Avocado Pasta Salad, I order all my groceries (and anything else I need) online from Walmart for easy FREE pickup once a week – this is a life changer! With Walmart, you don’t have to run around to three different stores to get what you need, instead, you can pick exactly what you want online and then they bring it straight out to your car – you don’t even have to unbuckle your seatbelt. 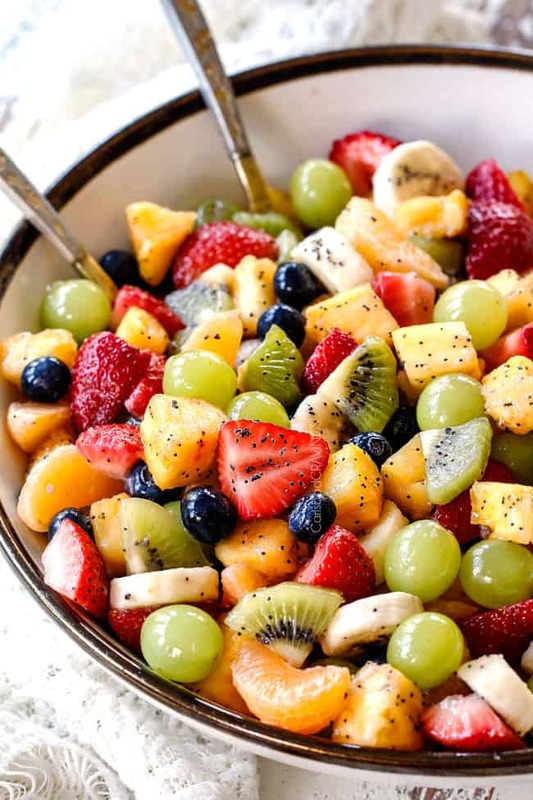 If you haven’t tried this feature – it will CHANGE YOUR LIFE – do it today, starting with this perfect fruit salad recipe! The bananas will keep for a few hours without turning brown if they are immediately tossed in a little of the dressing which contains lime juice. You can also slice bananas into a bowl containing pineapple juice or orange juice. I don’t recommend lime (separate from the dressing) or lemon juice is it adds additional tartness). Gently stir the bananas to coat all sides then remove them with a slotted spoon and add to the salad just before serving. If you want to include apples or pears, you don’t need to worry about them turning brown because the dressing has lime in it which will keep them from browning but they won’t look quite as pretty and will start to brown around the edge the next day. If you wanted to chop your apples and pears in advance, toss them with a little of the dressing OR toss them with pineapple juice to keep them from browning. Can I use Canned Mandarin Oranges in my fruit salad? Mandarin oranges are a class of orange of which contains both tangerines and clementines. We want clementines in our fruit salad as they are seedless and super easy to peel. I don’t recommend canned mandarin oranges because they tend to fall apart easily when tossed. If you loooove them though, then feel free to use them. I would suggest refrigerating your canned mandarin oranges first so they tasted refreshingly chilled. Choose bananas that are ripe but not soft. Slice your bananas on the thicker side, that way they don’t get mushy. I looooove bananas in my fruit salads and want them in every bite, so if you aren’t sure you want bananas in your fruit salad – try it! Yes! 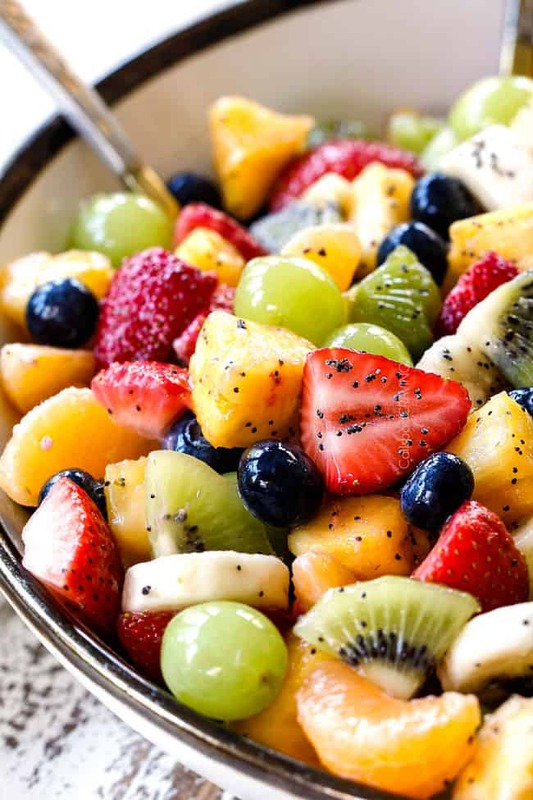 The fruit salad is best if assembled and allowed to chill 30 minutes in the refrigerator after you add the dressing then served within 2 hours. You can certainly assemble and refrigerate the salad longer than two hours in advance but the longer it sits, the more the dressing will macerate/soften the berries – still delicious, just not peak freshness. You can prep the fruit salad up to days in advance but not fully assemble by chopping the fruit and preparing the dressing (tips below). The most time consuming part of a fruit salad is chopping the fruit BUT this can be done whenever you have time. With the exception of the bananas, you can chop all of your fruit a couple days in advance and store them in airtight containers in the refrigerator. You can also peel and segment your oranges and store them in an airtight container in the refrigerator. You can whisk your Honey Citrus Poppy Seed Dressing ingredients together in a separate bowl and refrigerate separately. When ready to serve, let your dressing sit at room temperature for 15 minutes or so its pourable. Drain any excess liquid from the fruit, add Dressing and evenly toss with fruit. The fruit salad is best if allowed to chill at least 30 minutes after you add the dressing and served within 2 hours but it is still delicious if allowed to chill longer. The fruit combination is stand-alone delicious, but the Honey Citrus Poppy Seed Dressing is the secret ingredient that makes everything pop. There are many variations of this honey citrus combo for fruit salads – because it is magic! – but I find this dressing recipe with less honey and lime juice, with the boost of lime zest instead of lime juice, provides the perfect ratio so the fruit salad doesn’t accumulate more liquid. Instead, the honey and lime dressing mixes with the juices from the pineapple and orange juice to create a sweet and tangy citrus dressing that enhances the chilled fruit. If you find your fruit is on the tart side, you may want to add more honey – just sample your salad first and adjust accordingly. This fruit salad is very forgiving this way, but of course, aim for sweet, ripe fruit. The poppy seeds are optional but I think they add a little something-something special to the salad. HOW Much does this FRUIT SALAD MAKE? There a few variables such as how large your pineapple is, etc. but this fruit salad makes approximately 14 cups. HOW MANY PEOPLE DOES THIS FRUIT SALAD SERVE? 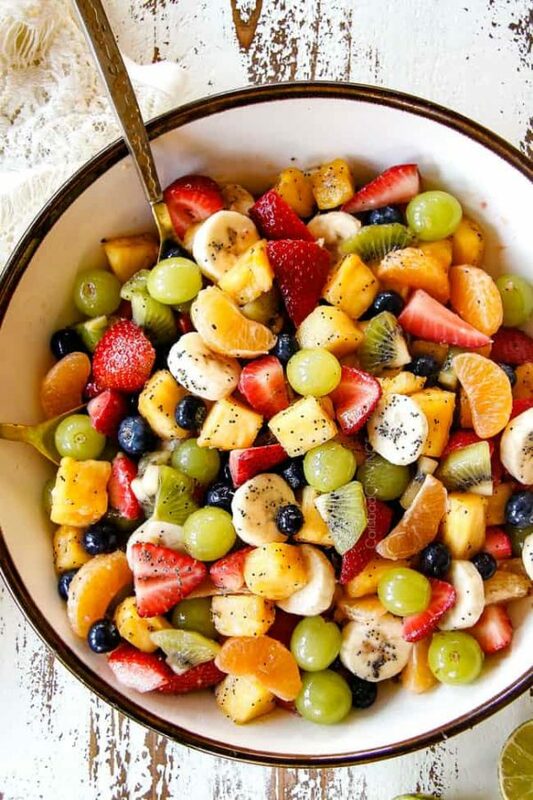 This fruit salad makes enough for 14 people to have a one cup serving. 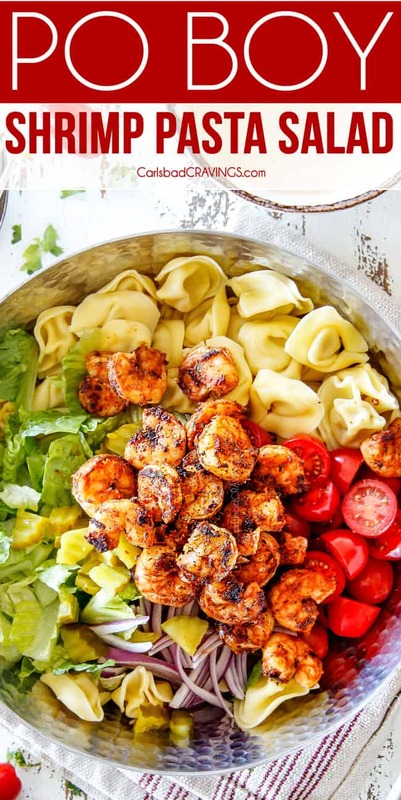 I loooove this salad, however, and could easily eat 3x that for my serving, so take into account how much you think everyone will eat and what else you are serving with it. You can also halve this fruit salad recipe or double this recipe depending on the amount of people you want to serve. And, as you can see by the section below, I love leftovers of this fruit salad! This salad stores well for 2-3 days in the refrigerator. The longer it sits, the softer the berries will get since they are macerating in the dressing and getting softer. If storing leftovers of this fruit salad, remove the bananas and store the rest of the salad in an airtight container. I like to add freshly sliced bananas to my new servings of fruit salad. Juices will accumulate from the fruit the longer it sits in the refrigerator. Toss the fruit in the juices then you can use a slotted spoon if you prefer to serve your fruit. I love adding granola to my fruit salad and eating it for breakfast! I actually had a chocolate granola on hand I added to it the fruit salad the next day and it was incredible. Leftover fruit salad is also is delicious with vanilla yogurt and/or granola – mmm! Whenever I can’t use fruit in time, I freeze it later for smoothies. For this fruit salad, divide any leftovers into individual sandwich bags, seal and freeze for later. Combine with vanilla yogurt, ice/or frozen banana, orange juice and sugar to taste. You can also create an immediate slushy by adding your leftover fruit salad to your blender along with ice and some honey or sugar. Endless are the possibilities and endless is the deliciousness of this Perfect Fruit Salad! 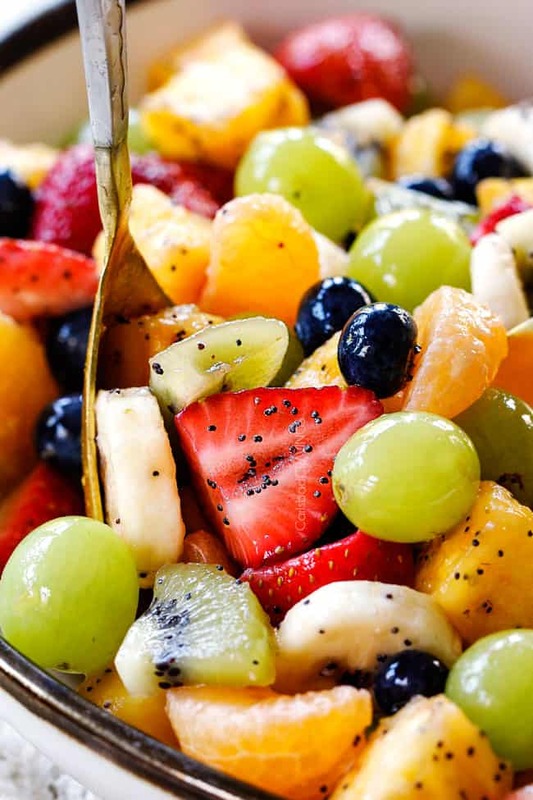 WANT TO TRY THIS FRUIT SALAD RECIPE? 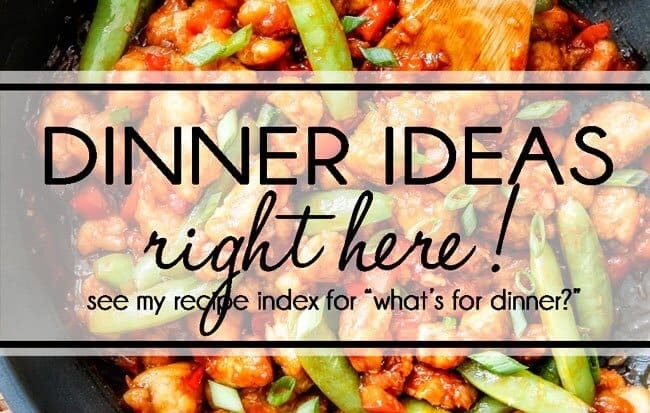 PIN IT TO YOUR POTLUCK, FRUIT, OR SIDES BOARD TO SAVE FOR LATER! Add all fruit to a large mixing bowl. Hold bananas if not serving within 30 minutes. In a small bowl, whisk together all of the Dressing ingredients. Pour over fruit 30 minutes- 2 hours before serving, toss and chill in the refrigerator. Toss again before serving to distribute the juices that release and accumulate at the bottom. Gently stir in bananas. You can assemble and refrigerate the salad longer than two hours in advance but the longer it sits, the more the dressing will macerate/soften the berries and the pineapple and oranges will release their juices - still delicious, just not peak freshness. You can also make it partially ahead of time days up to days in advance by chopping the fruit and preparing the dressing (tips below) for super quick assembly. Aside from the bananas, this fruit salad doesn’t contain any fruit that will turn brown. If you want to include apples or pears, however, you don’t need to worry about them turning brown because the dressing has lime in it which will keep them browning. If you wanted to chop your apples and pears in advance, however, toss them with a little of the dressing OR toss them with pineapple juice. You can also use canned or bottled lime or lemon juice, but I prefer pineapple juice because it is far less tart. 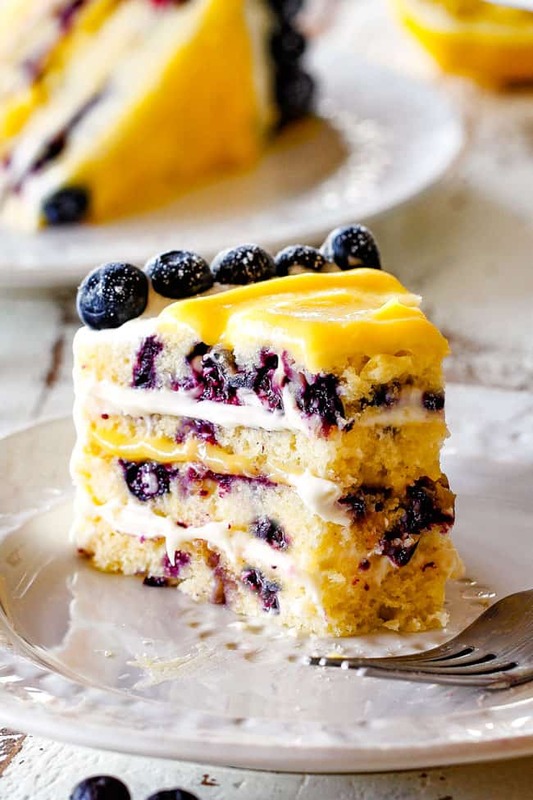 I prefer blueberries to both blackberries and raspberries because they hold their shape and make great leftovers. If you want to use blackberries or raspberries, I prefer blackberries because they hold their shape better. They are also best the day of and don’t make great leftovers. Slice your bananas on the thicker side, that way they don’t get mushy. Choose bananas that are ripe but not soft. I looooove bananas in my fruit salads and want them in every bite, so if you aren’t sure you want bananas in your fruit salad – try it! This fruit salad tastes best chilled, so I would allow at least 30 minutes for it to chill with the dressing in the refrigerator and don’t let it sit out at room temperature more than 2 hours. If storing leftovers of this fruit salad, remove the bananas and store in an airtight container. This salad stores well for 3-5 days in the refrigerator. The most time consuming part of a fruit salad is chopping the fruit BUT this can be done whenever you have time. With the exception of the bananas, you can chop all of your fruit a couple in advance and store them in airtight containers in the refrigerator. You can also peel and segment your oranges and store them in airtight containers/bags in the refrigerator. Next, whisk your Honey Citrus Dressing ingredients together in a separate bowls and refrigerate separately. When ready to serve, let your dressing sit at room temperature for 15 minutes or so until pourable. Drain any excess liquid from the fruit, add Dressing and evenly toss with fruit. The fruit salad is best if allowed to chill at least 30 minutes after you add the dressing then served within 2 hours. 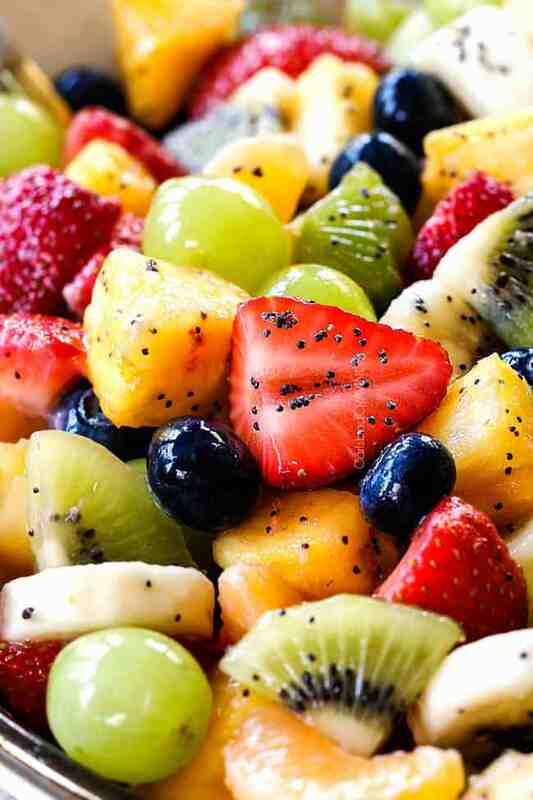 If storing leftovers of this fruit salad, remove the bananas and store in an airtight container. This salad stores well for 2-3 days in the refrigerator. The longer it sits, the softer the berries will get. I like to add freshly sliced bananas to my new servings of fruit salad. Thank you so much Deb! I hope you are having a wonderful summer as well! Yes! I can just inhale fruit salad in the summer! Thanks Wendy, I hope you absolutely love this salad! The fruit combination is stand-alone delicious, but the Honey Citrus Poppy Seed Dressing is the secret ingredient that makes everything pop. Agreed! Thanks so much Emma! Oh, my! I made this salad a couple of days ago and this is now my FAVORITE dressing for fruit salad. For some time, I’ve been looking for a new dressing for fruit salad that was not too sweet but also was bright and fresh. This one is it! THANK YOU!!! Now, I’m eager to try a few other recipes from you (especially the cowboy pasta salad and the Asian salad. YAY! I’m so happy this is your new favorite, thanks Bobbi! I hope you love the Cowboy Salad and Asian Salad just as much. Welcome to my site, happy exploring!